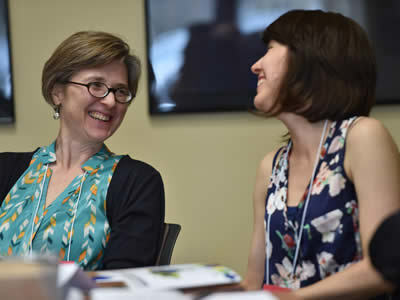 Notre Dame sociologist Ann Mische, a scholar of social movements in Brazil and around the world, has an intense interest in how citizens in a democracy debate their futures and engage in collective efforts to bring about social and political change. Mische arrived at Notre Dame in 2013 from Rutgers and holds appointments in both the Department of Sociology and the Kroc Institute for International Peace Studies. She is also a faculty fellow in the University’s Kellogg Institute for International Studies. 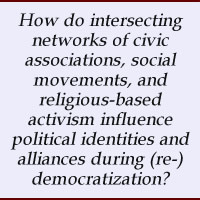 In her work, she investigates processes and styles of communication and decision making across civil society networks and their implications for democracy, development, and social justice. Mische first visited Brazil in 1987, just out of college, on a fellowship from the Institute of Current World Affairs. It was an exciting and inspiring time. 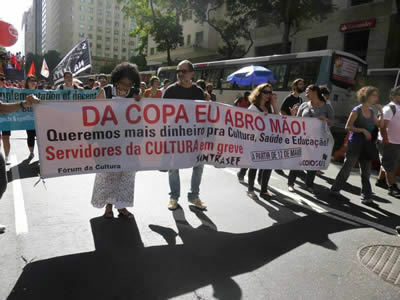 The Workers’ Party was ascending, Lula’s popularity propelled him into his first run for the presidency, and, as she was taking his class on the Pedagogy of the Oppressed, Paulo Freire was named São Paulo’s secretary of education. 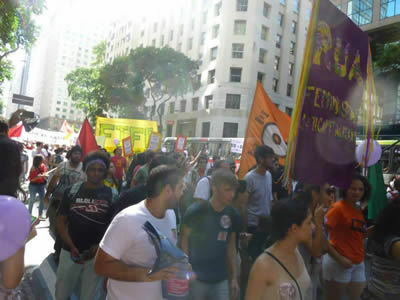 This research culminated in the award-winning Partisan Publics: Communication and Contention across Brazilian Youth Activist Networks (Princeton University Press, 2008), in which Mische examines the role of activist youths in Brazil’s emerging democracy and the unique implications of their styles of political communication and leadership for democratic politics in Brazil and beyond. 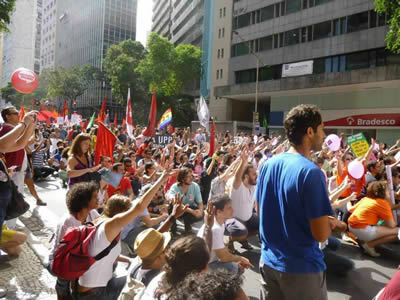 Mische’s observations on Brazil’s emerging social movements during this time became the impetus for her decision to study sociology at the graduate level. At the New School for Social Research, with Charles Tilly as her advisor, she focused her attention on youth politics and the intersection of civic and partisan networks in Brazil. “Political parties can—at their best—serve as bridging mechanisms by which social grievances and aspirations are carried into the structures of government,” she said. Her goal is to extend the analysis to a variety of sociological questions: How do distinct modes or genres of projective discourse develop? 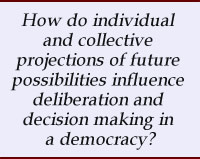 How are various projective genres used in mobilizing citizens, forming coalitions, and building institutions? And what results do activists obtain from tapping into different modes of projectivity?Mische’s preliminary findings — which appeared in “Measuring Futures in Action: Projective Grammars in the Rio+20 Debates,” Theory and Society 43, 3–4 (2014) — are that modes of projectivity are useful in analyzing political decisions, relations, and institutions. She is currently working with a team of Notre Dame doctoral students to extend the analysis to a larger corpus of Rio+20 texts. 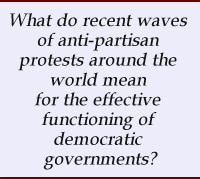 “Recently, protest waves have taken a notable right-wing turn,” Mische notes, "with calls not only for President Dilma Rousseff’s impeachment, but also, among a small but vocal minority, for military intervention or a return to authoritarian rule. The recent economic downturn has given the government less maneuverability in responding to these social pressures and demands.